Welcome to ArtBlueprint. This website offers art teachers, teachers and visual artists high quality art lessons that meet State and National Standards for the visual arts and literacy. All lessons have been field-tested and provide successful ways of teaching different art media that extend into classroom areas of study. 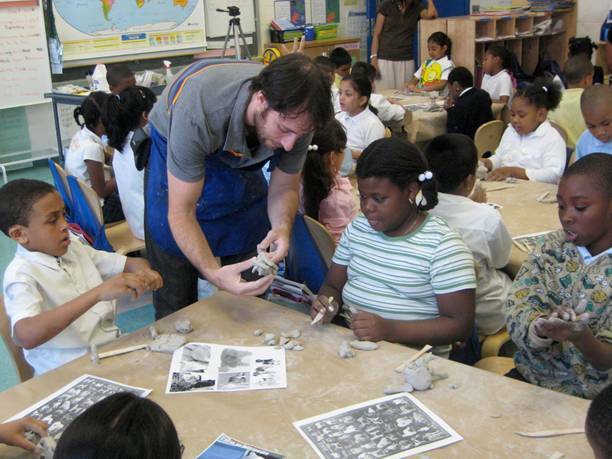 Access free lessons to learn how to implement field tested strategies in your classroom; collaborate with classroom teachers to connect areas of study with the visual arts; and enhance student learning by using local resources in New York City. Currently, units and lessons for grades 2, 5 and 8 are available.